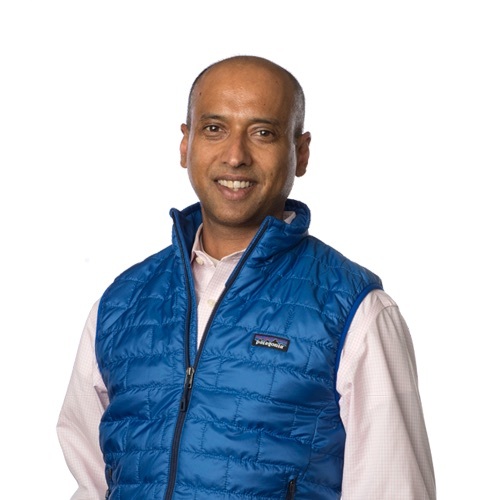 Shankar Chandran is Senior Vice President, Managing Director and Head of Samsung Catalyst Fund (SCF), Samsung Electronics’ multi-stage venture capital investment fund focused on core technology areas including smart machines, Internet of Things, smart health, deep learning/AI, cloud infrastructure and device level technologies. Previously, Shankar was part of the founding team at Panorama Capital and has been an active venture investor for 15 years at Panorama Capital and JP Morgan Partners. He has held various engineering, business development and management roles at Applied Materials, Inc., and has been granted eight patents as the primary inventor. He also serves on the Advisory Board at the Center for Innovation and Entrepreneurship, Santa Clara University, and has served as a director or observer on the boards of over ten companies. Shankar holds an MBA from The Wharton School at the University of Pennsylvania, an M.S. in Materials Science from Arizona State University, and a Bachelor of Technology degree in Metallurgical Engineering from the Indian Institute of Technology (BHU), India. There are so many! Here’s a few: Guns, Germs, and Steel: The Fates of Human Societies by Jared Diamond; A People’s History of the United States by Howard Zinn; and Sapiens: A Brief History of Humankind by Yuval Noah Harari. The quality of the people. The people in our group, in particular, tend to punch above our weight class. We have the ability to have a massive impact on the future of this very large company. Who has been the most influential person in your life, and why? My grandfather. He was world-wise, traveling the world in the 1950s and ‘60s. He was an engineer—the only one in our family; the others were accountants. And he was a real problem-solver. He could use tools to fix anything. Batman. He has this deep agony, he’s struggling, he has no real superpowers, he uses technology a lot, and he has a cool car. Who wants to fly when you can drive a cool car? !